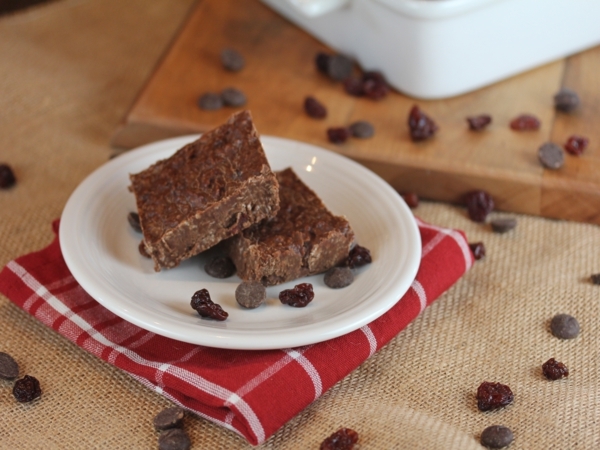 No bake chocolate cherry cookie bars are a delicious treat that can be made without turning on your oven. I think more cookies should be no bake cookies because we all need no bake recipes during the hot summer months. There is something about 90+ degree days that just makes me not want to turn on the oven. And I am guessing I am not the only one that avoids turning on the oven this time of year. However, if your kids are like mine, than they still want some fun summertime desserts. They want cookies and other treats even when it is 90 degrees outside. 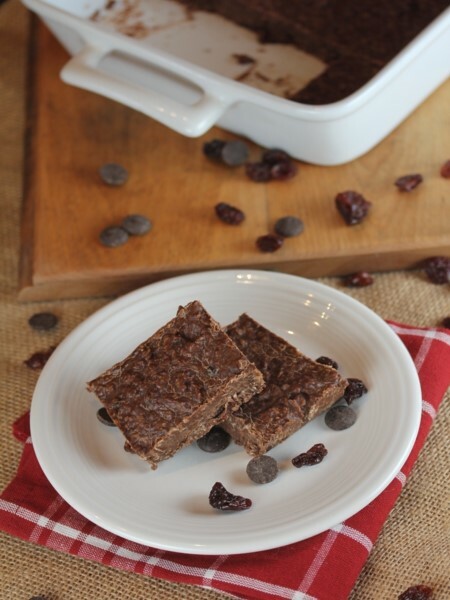 This recipe for no bake chocolate cookie bars is perfect for those times. They are quick and easy to make and you don’t need the oven. Not only that they use basic pantry ingredients. No special ingredients are required to make these. 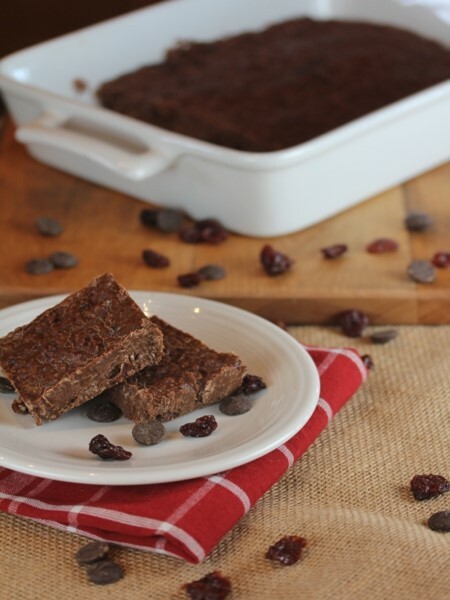 My kids loves these with dried cherries and I usually have dried cherries on hand, but you can easily make these with just about any dried fruit like raisins or craisins. These are a pretty basic no bake cookie recipe made into a bar. I like making them into bars because they are a little easier to make. It also seems like they serve more made into bars because you can control how big each bar is going to be. And if you want thick bars make them in a 9×13 pan. If you want a little bit of a thinner bar just make them in a jelly roll or cookie sheet type pan. Either way works and is delicious. Spread into a 9×13 pan. Refrigerate until firm. Cut into squares. You can also make these in a jelly roll or cookie sheet type pan, but the bars will be thinner. YES! I saw the recipe and thought “oooh, that sounds good, I really should’ve picked up maraschino cherries at the store” and then saw that they were DRIED, which I DO have! Hooray!! Awesome! These are some of my favorite ingredients, and I love that they are a no-bake. Can’t wait to try them. I hope you enjoy them! We have been adding all kinds of things to no bake cookies and love the results. For years I just did the basic recipe, so it is fun to try new flavors with them. I make no-bakes often for church because they are so great for those who can’t have gluten. How nice to have a new variation on my usual stand-by. Chocolate and cherries are such a great combo. Thanks for the recipe!